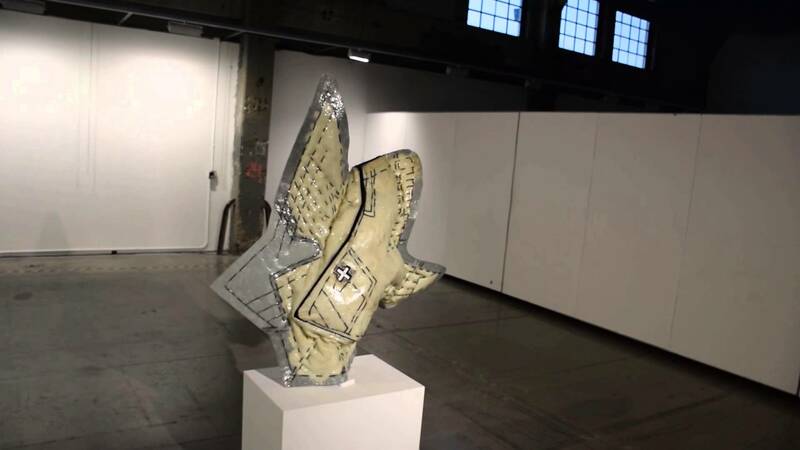 PLASTICITY, the quality of being able to be made into different shapes, to be molded or altered, is a quality that is pervasive in contemporary design. 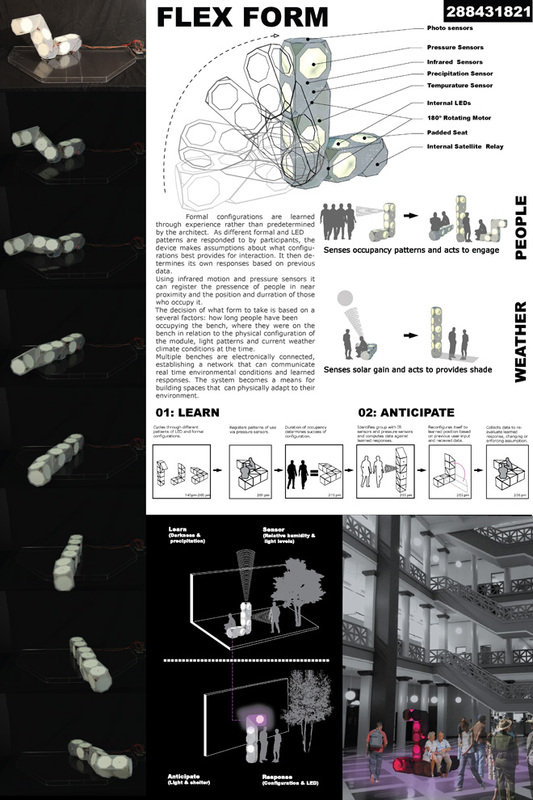 This idea can manifest as a material providing haptic experience or as a concept defining relational interaction with performative consequence. 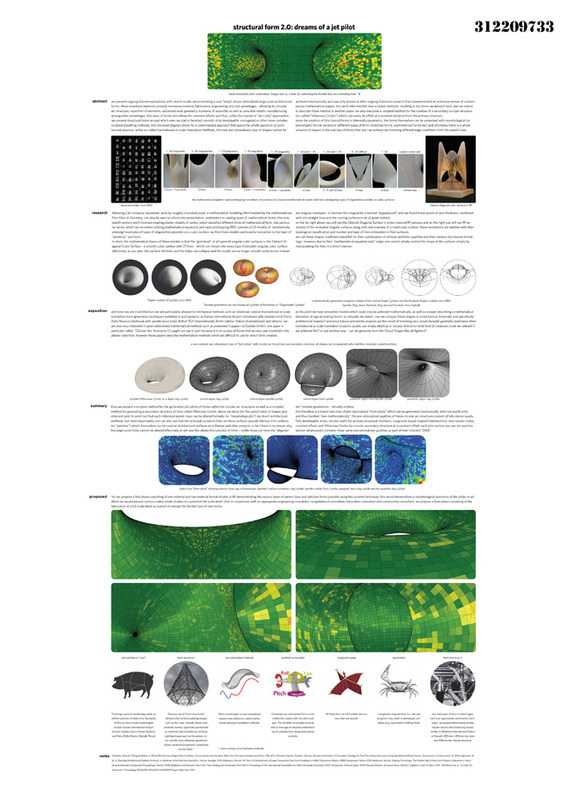 Plasticity extends beyond the design disciplines into biologics where organisms with the same genotype vary in developmental pattern, in phenotype, or in behavior according to varying environmental conditions. 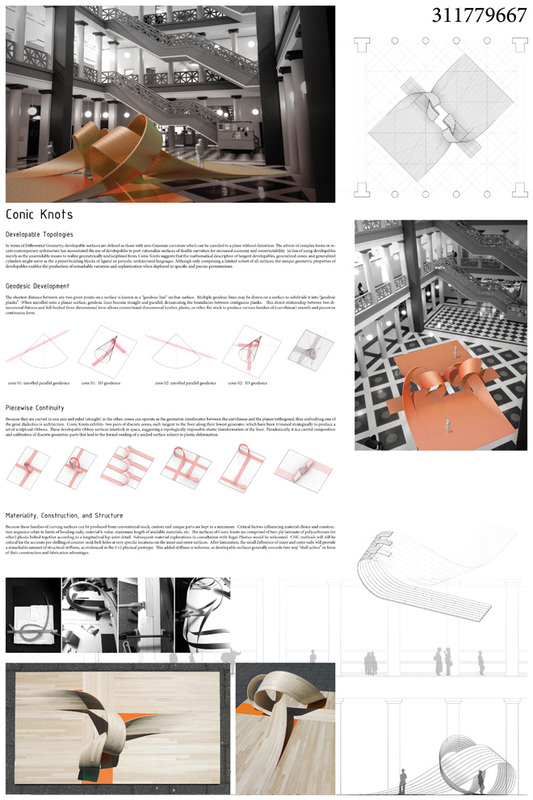 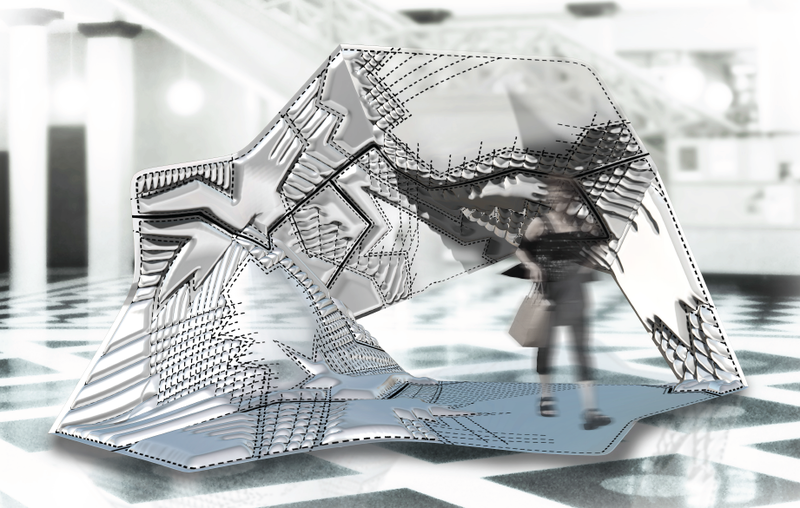 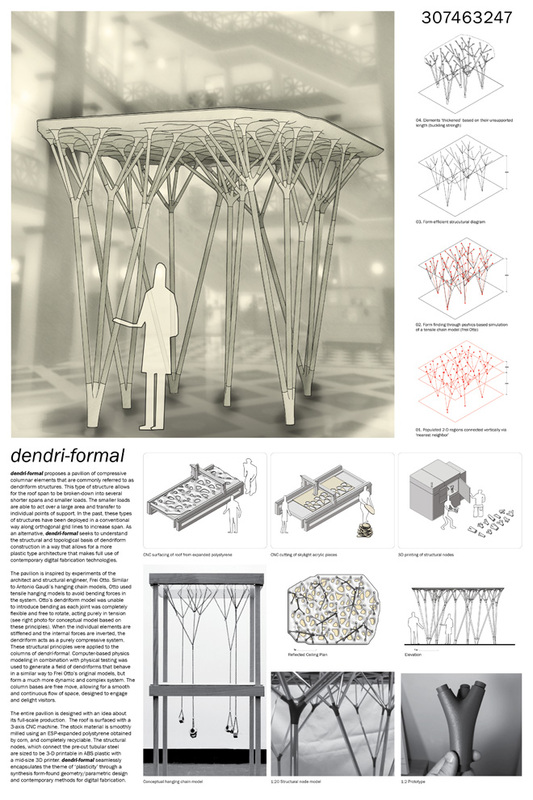 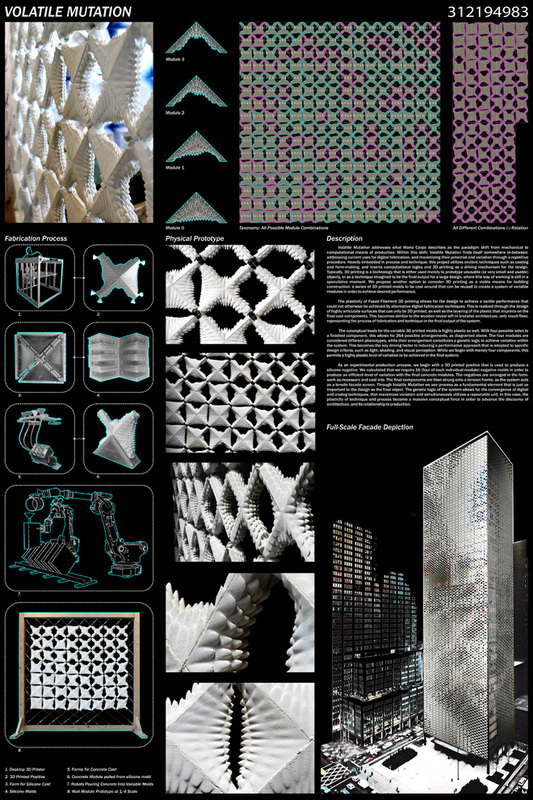 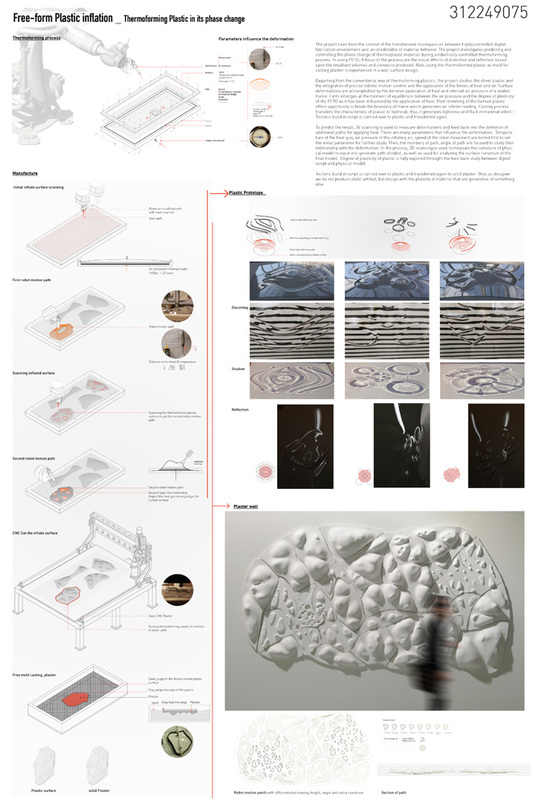 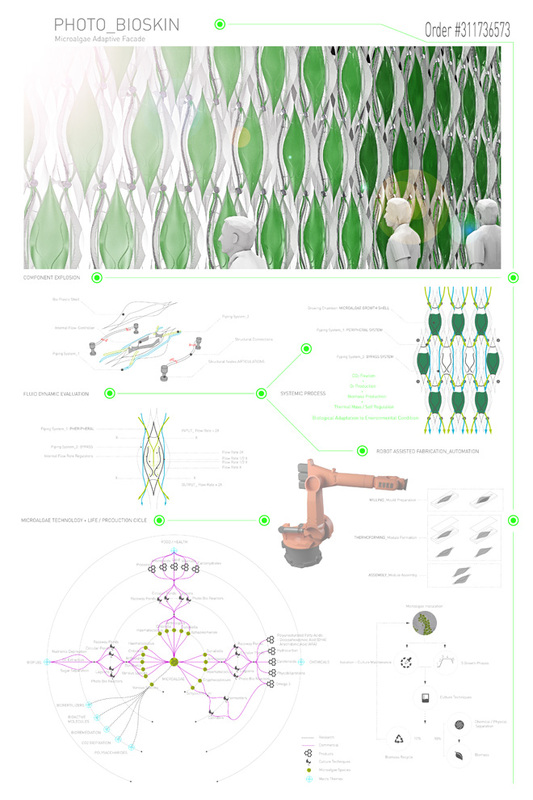 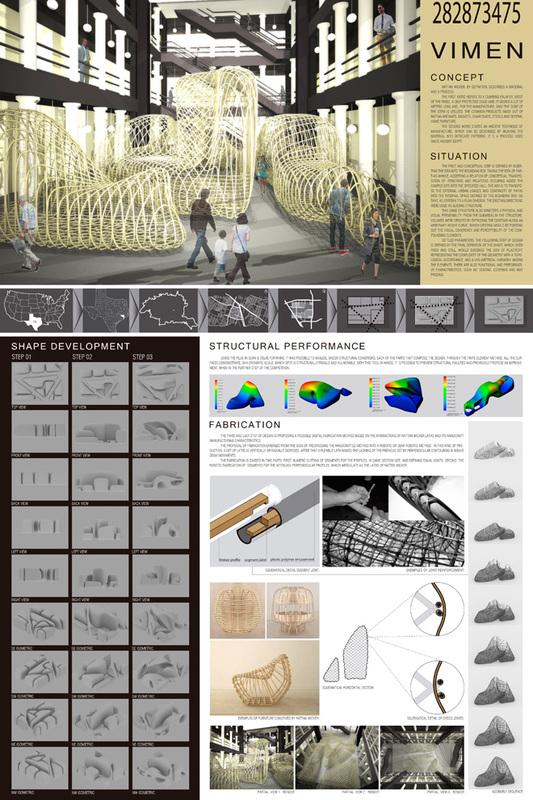 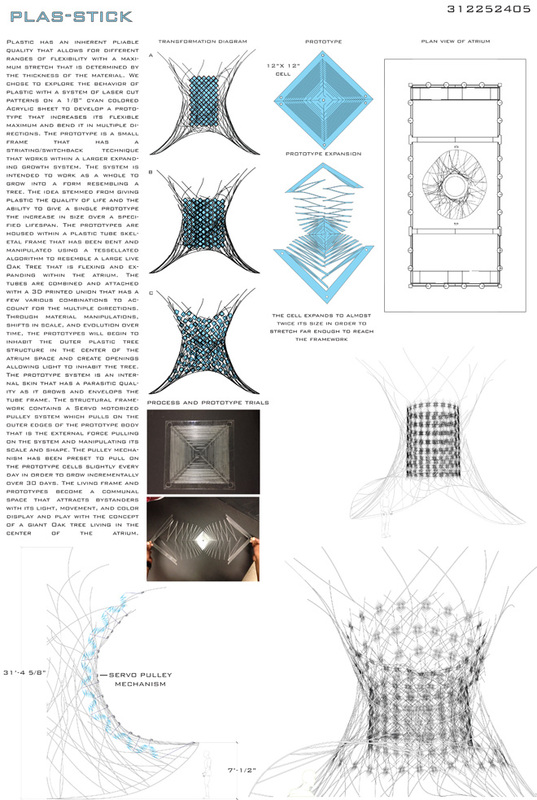 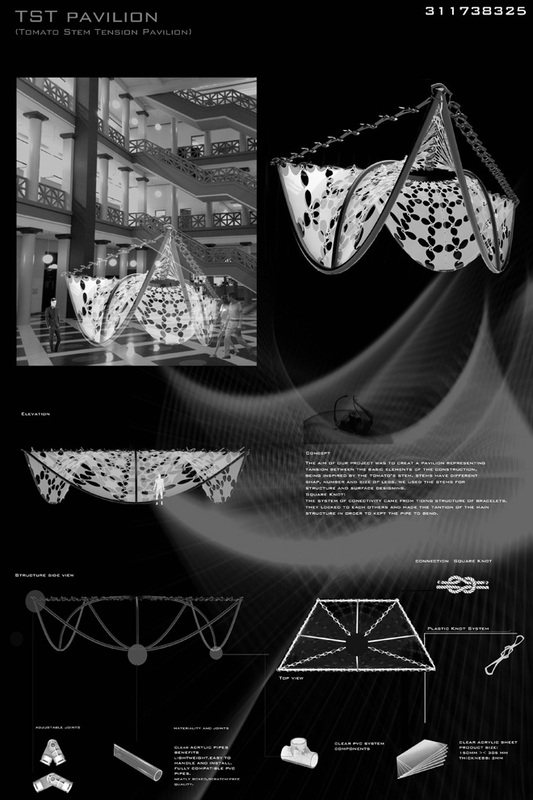 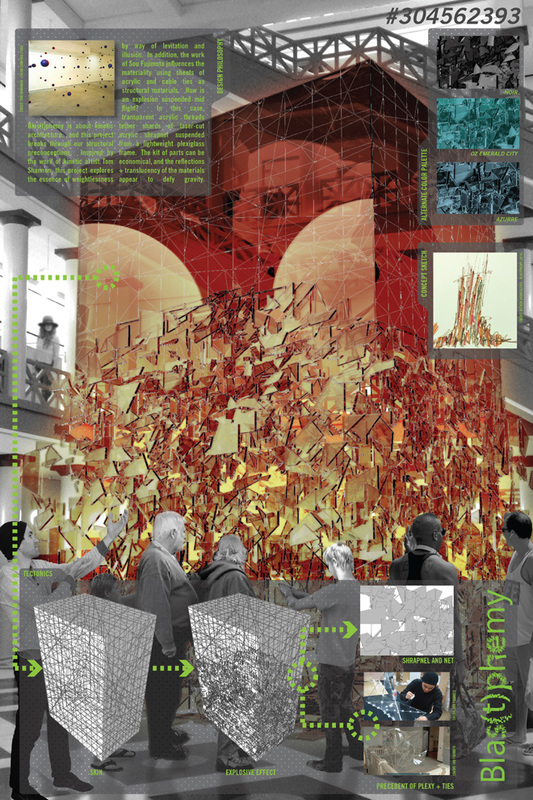 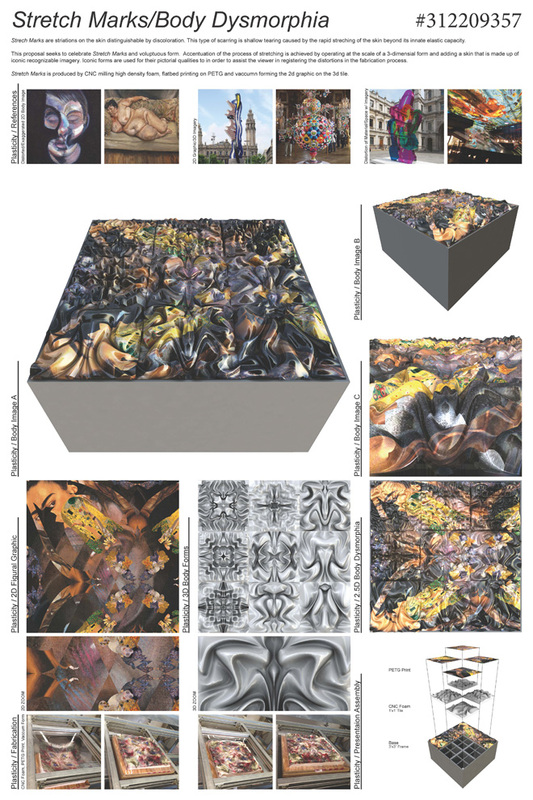 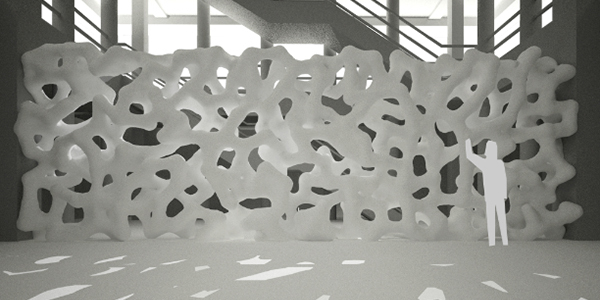 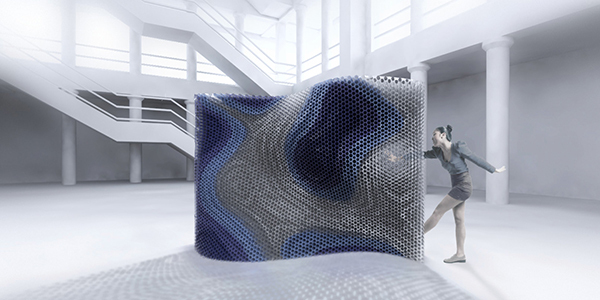 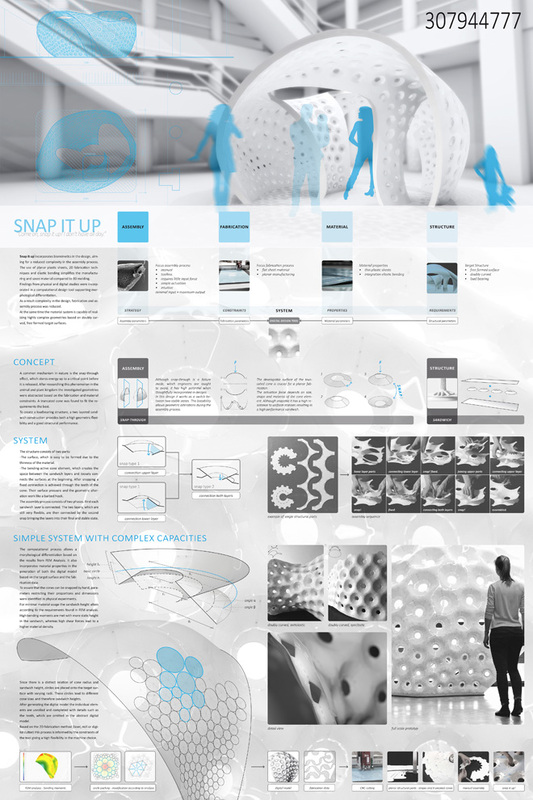 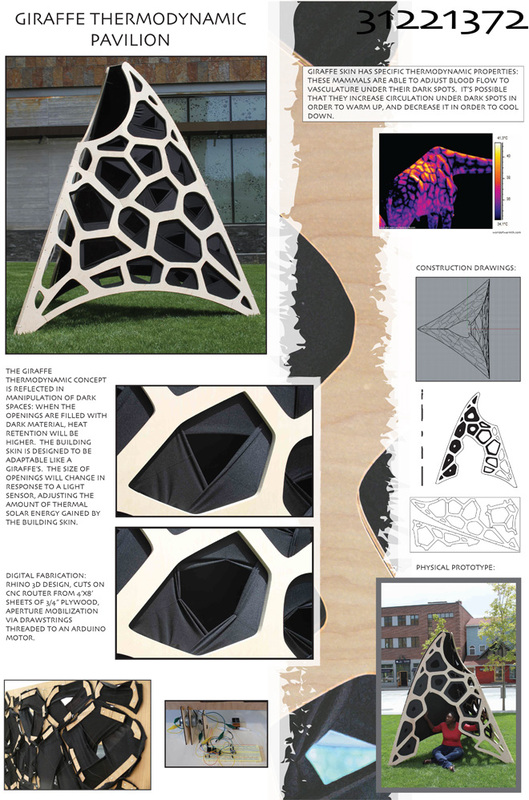 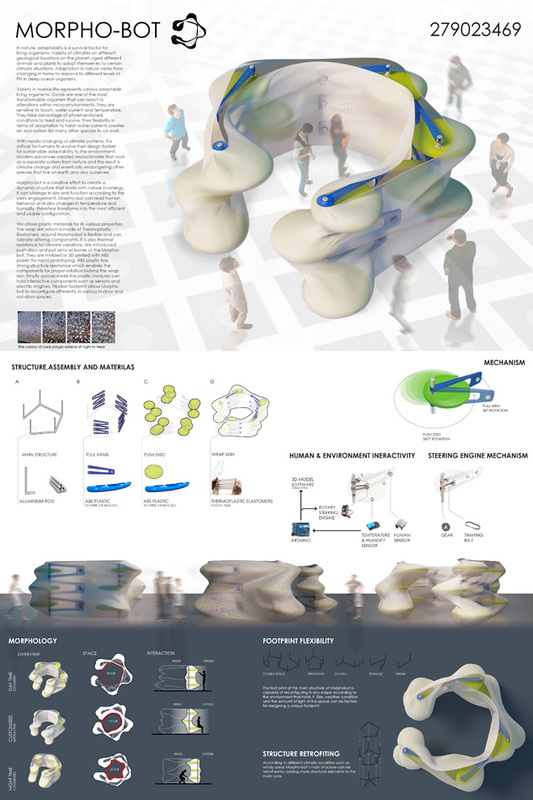 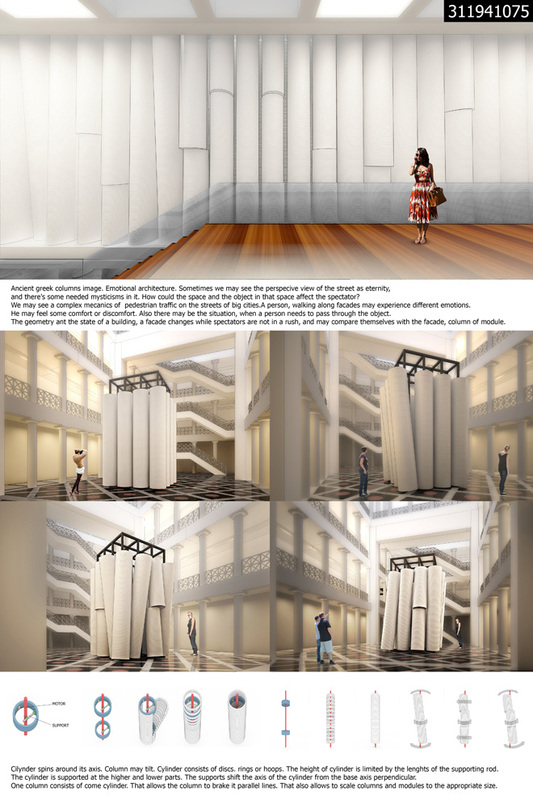 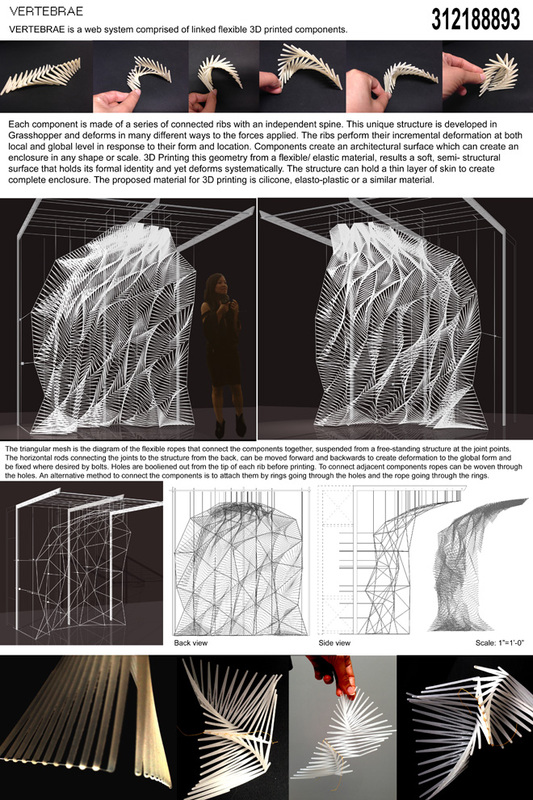 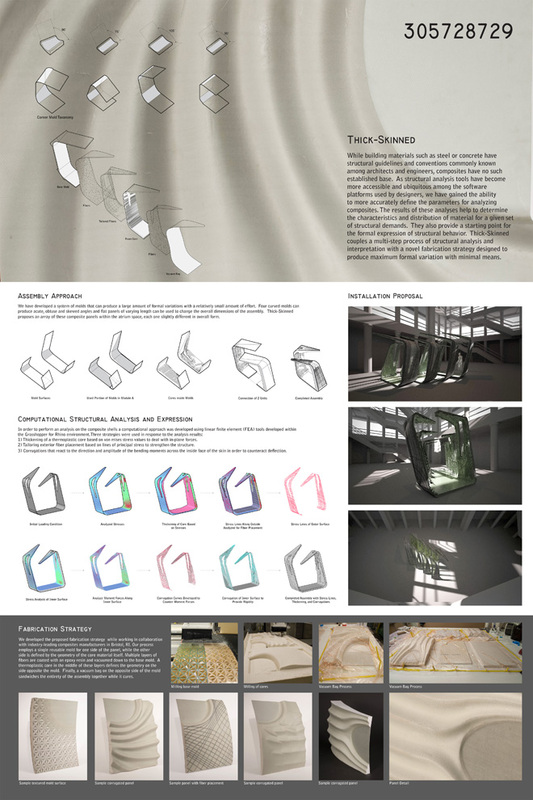 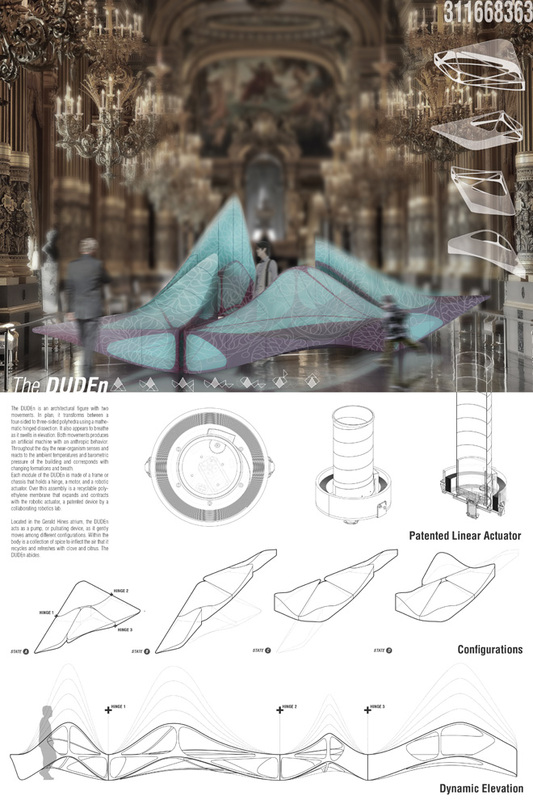 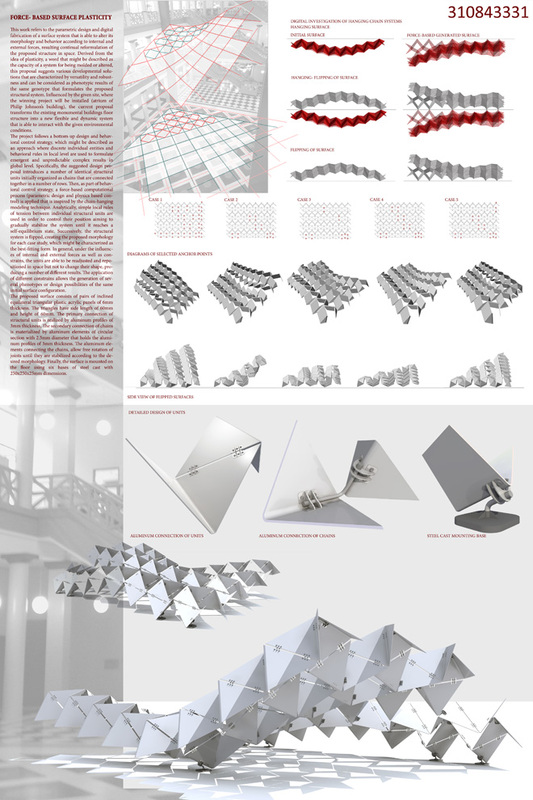 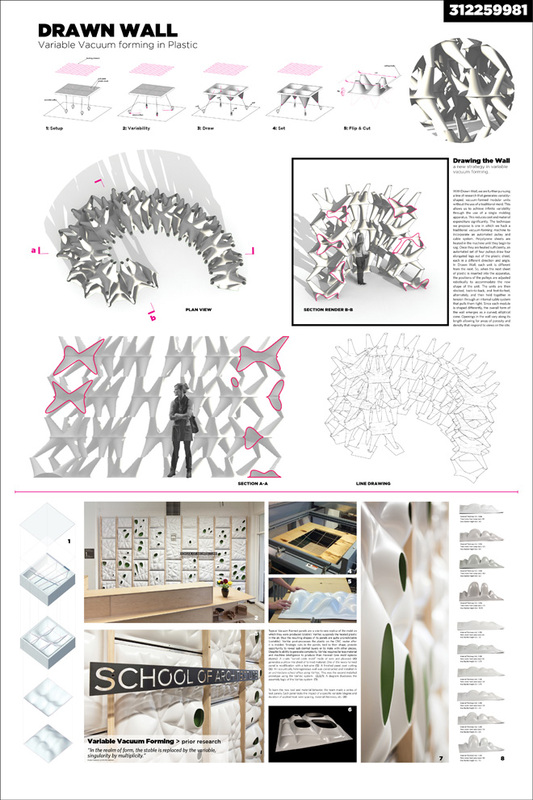 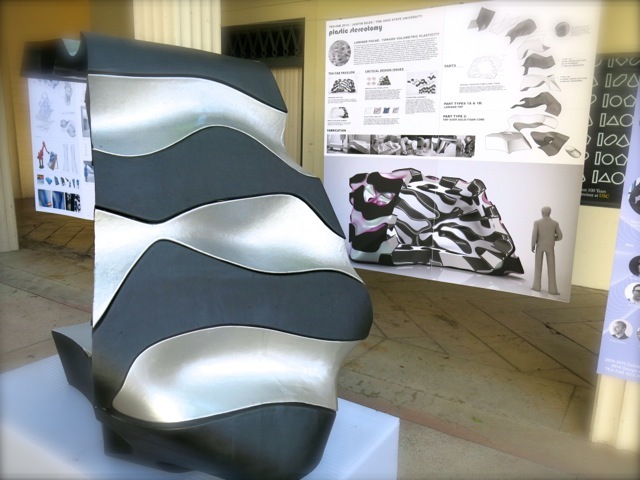 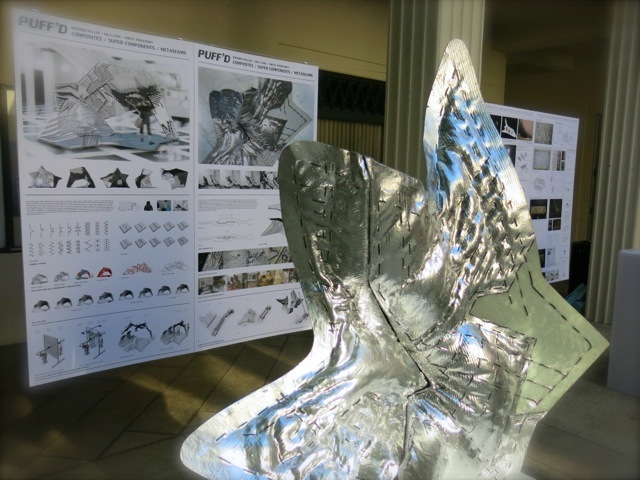 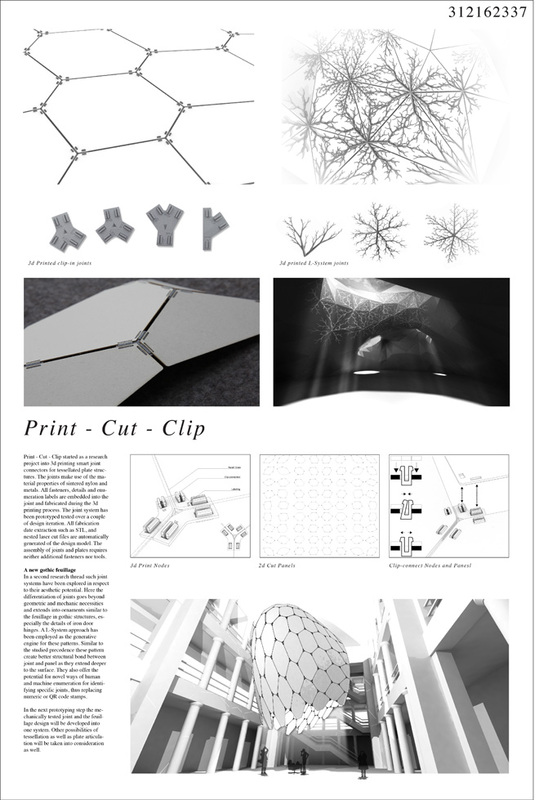 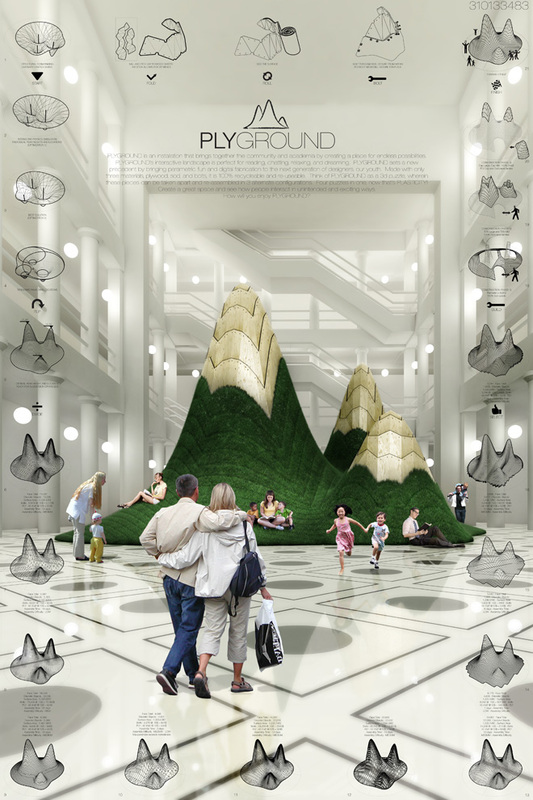 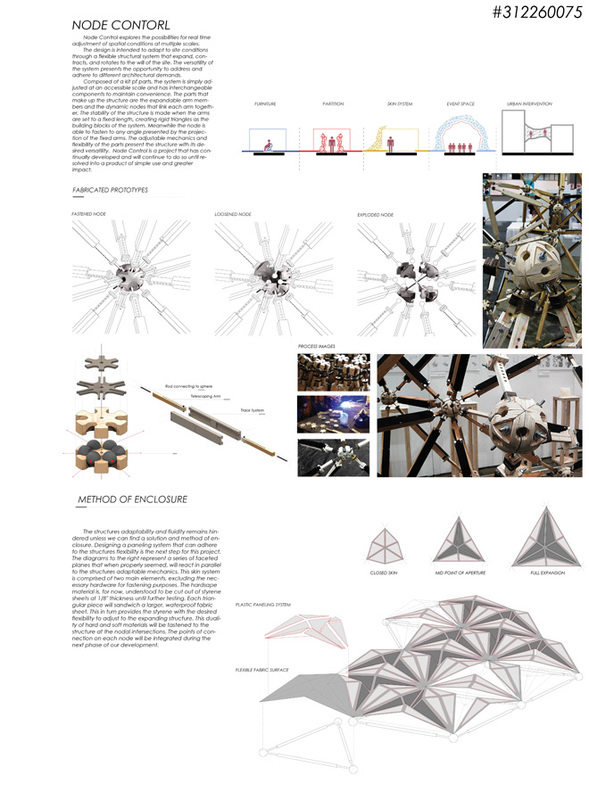 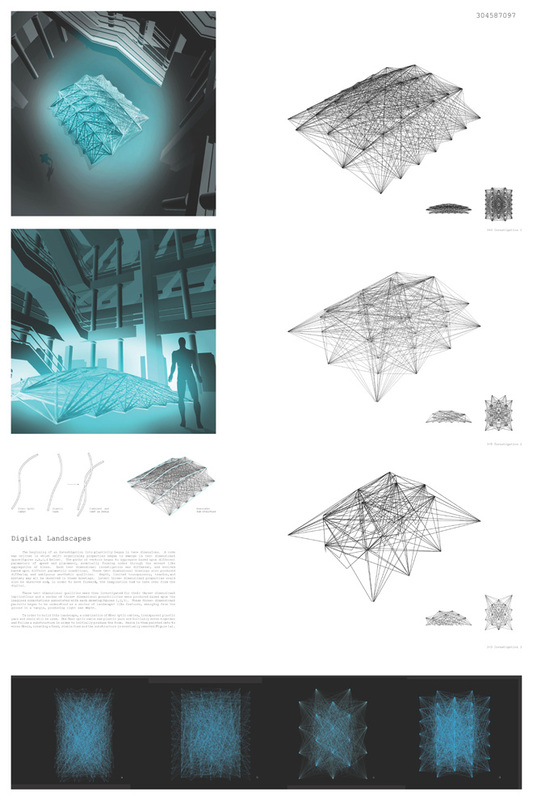 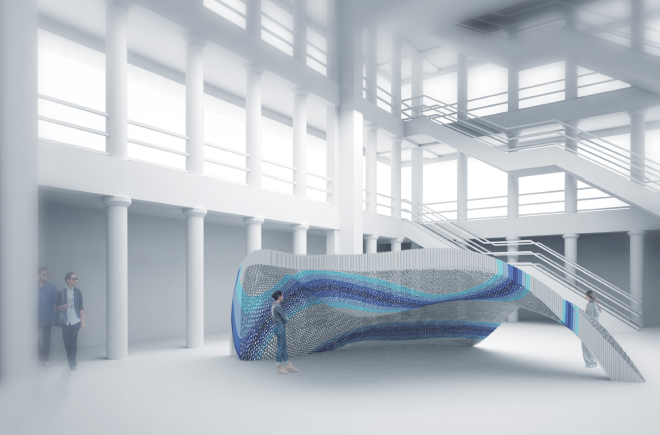 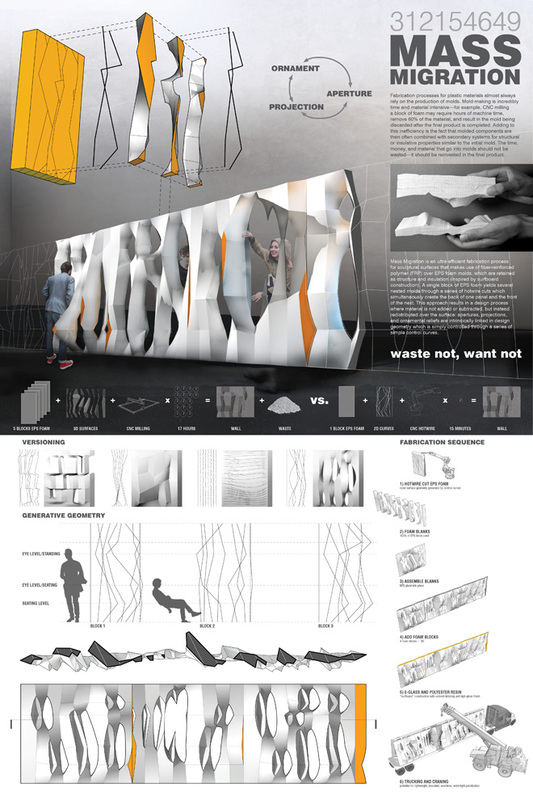 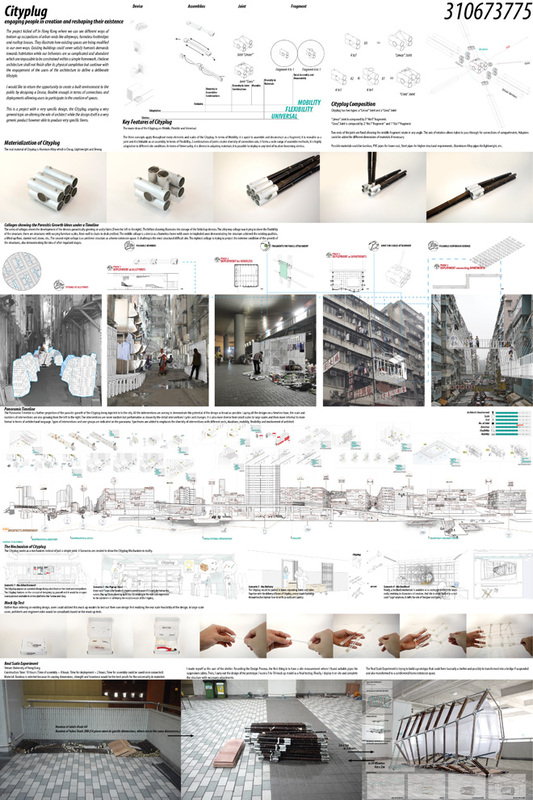 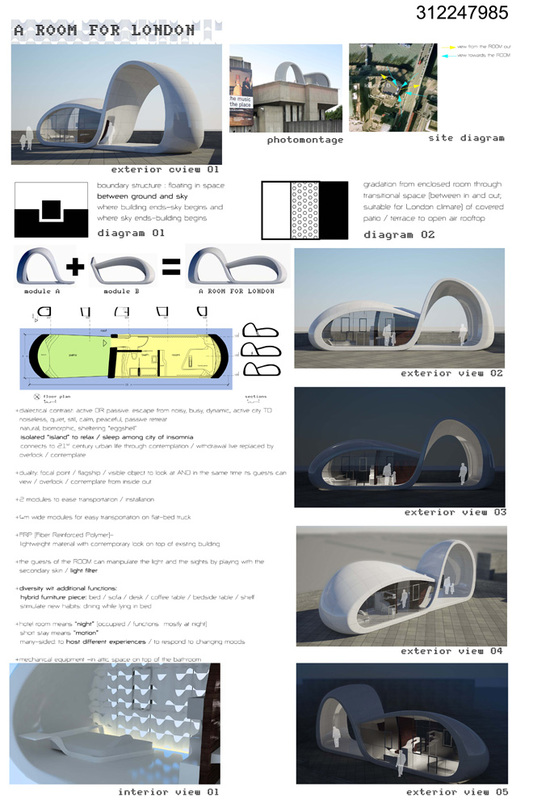 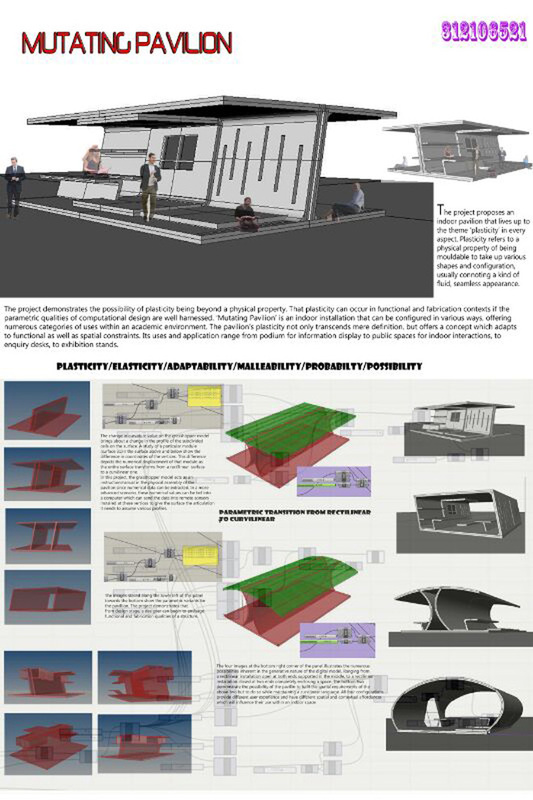 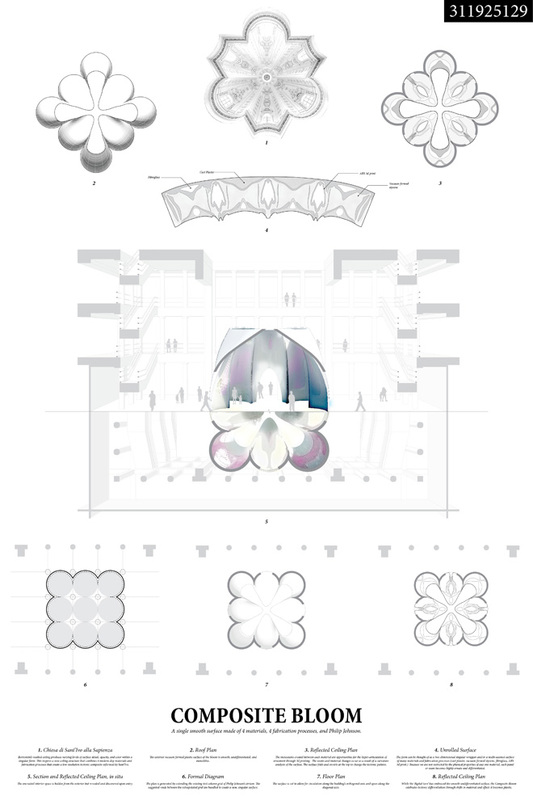 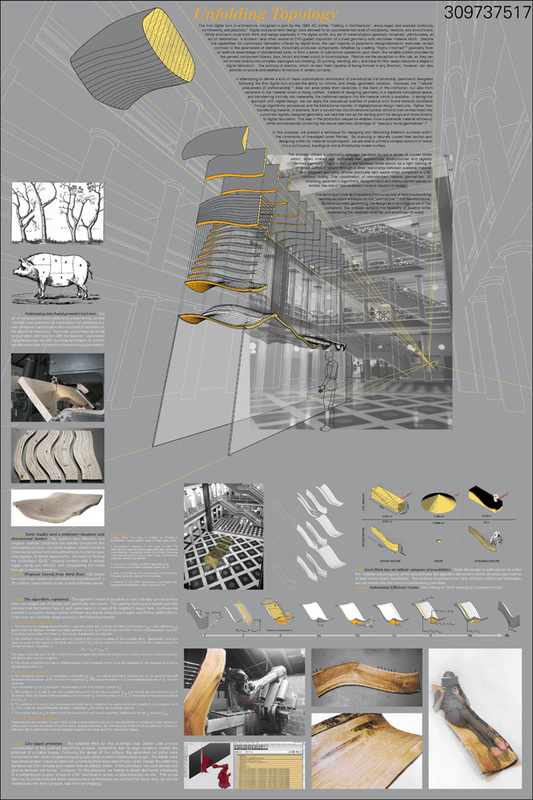 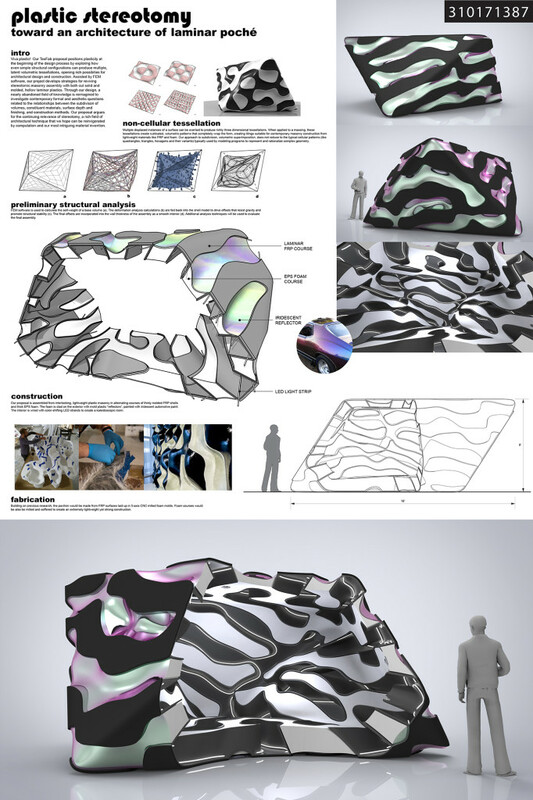 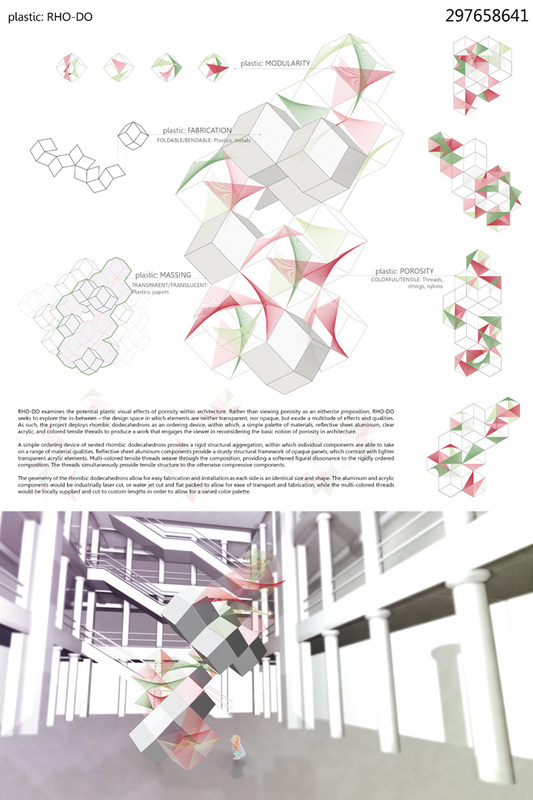 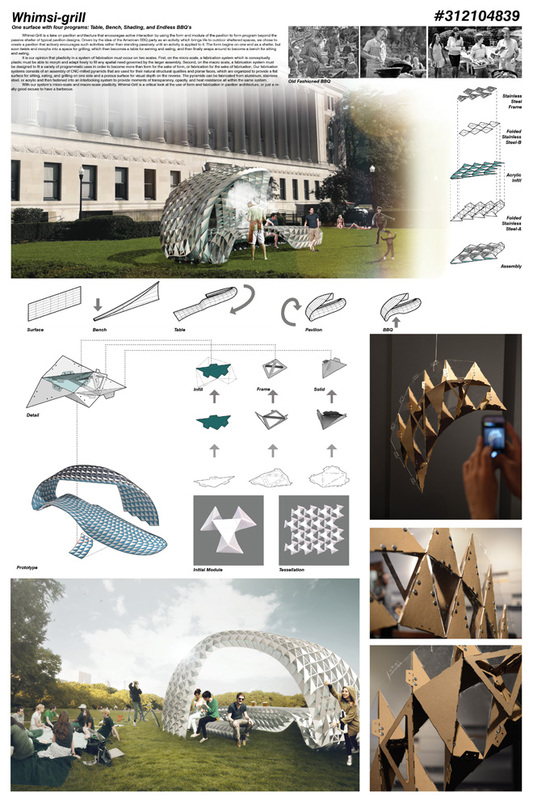 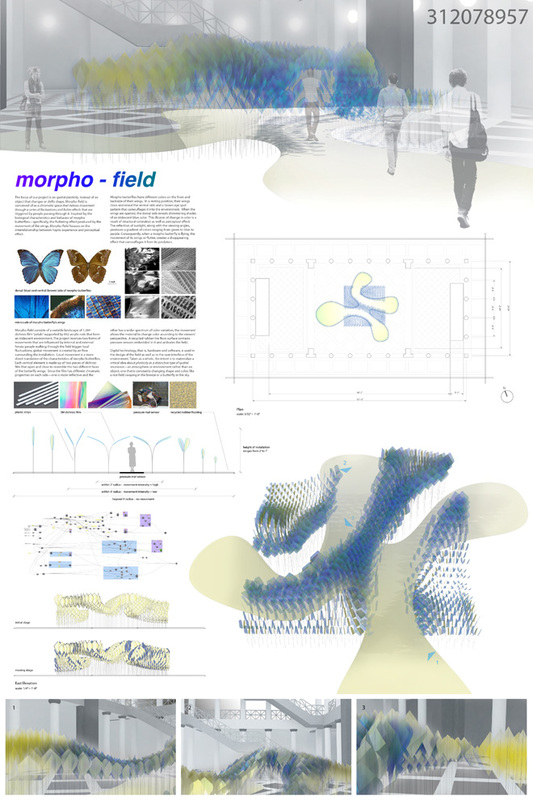 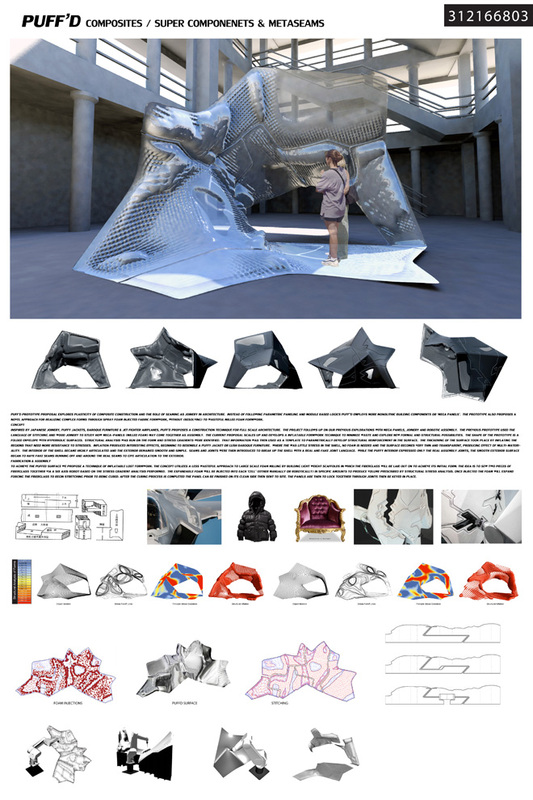 Plasticity seeks to frame this concept within an architectural proposal that foregrounds the application of parametric design and digital fabrication with a broad range of possible outcomes. 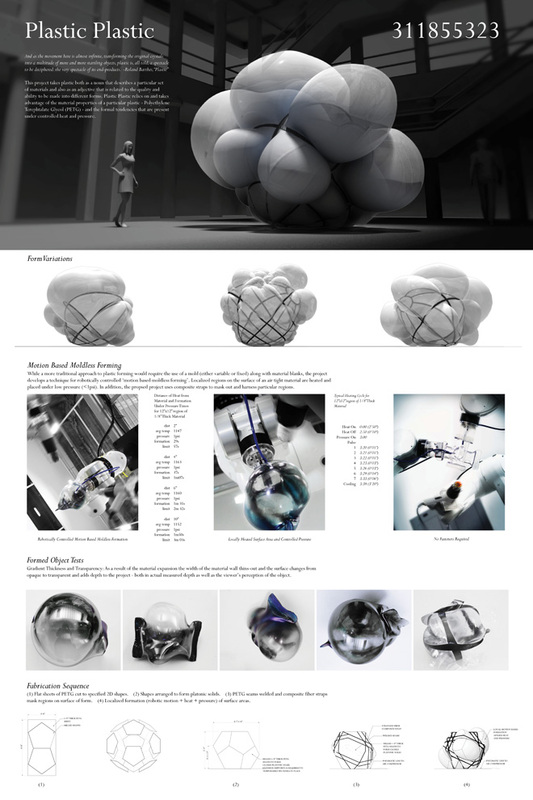 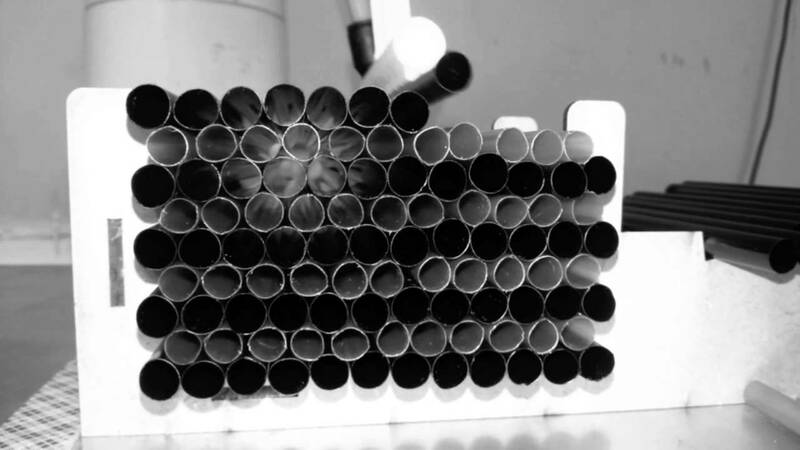 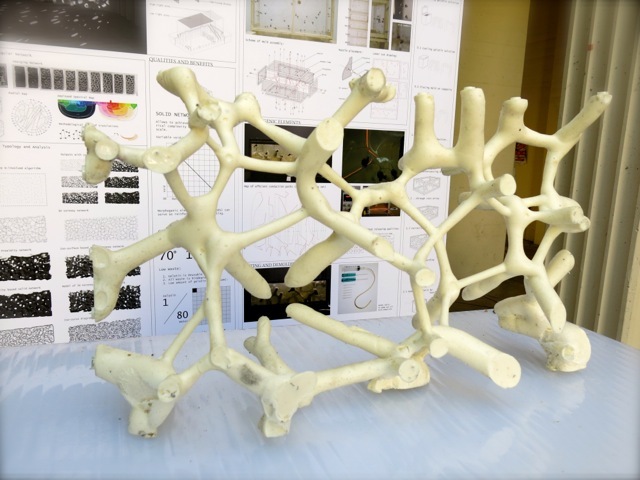 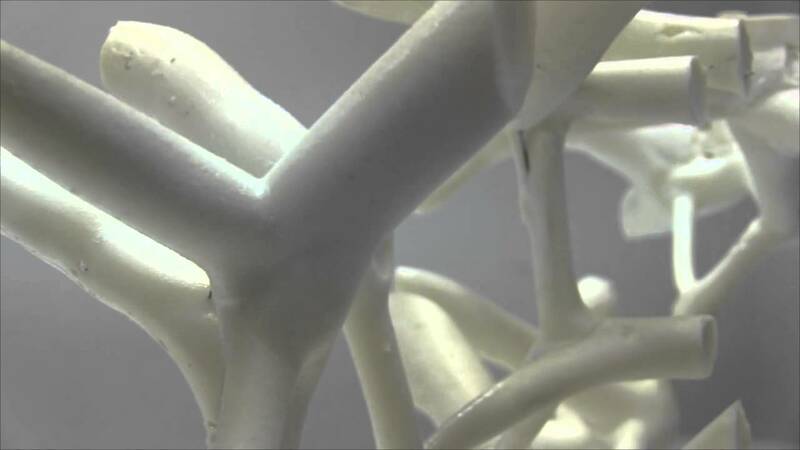 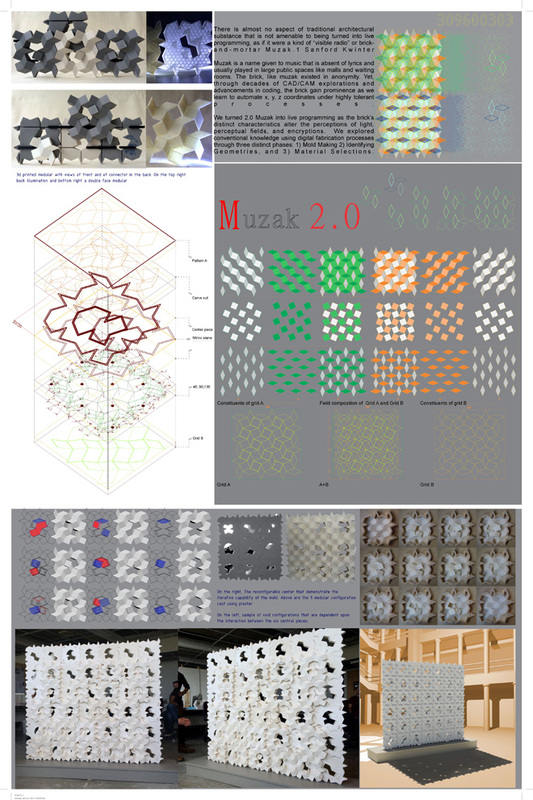 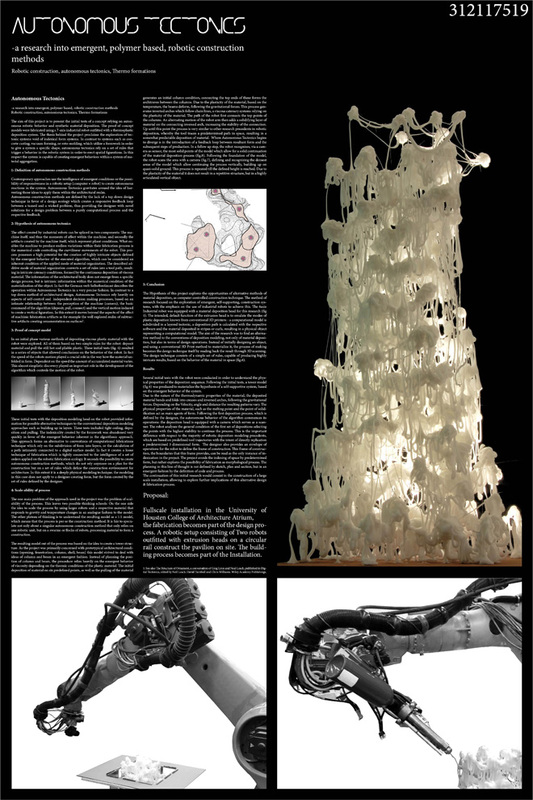 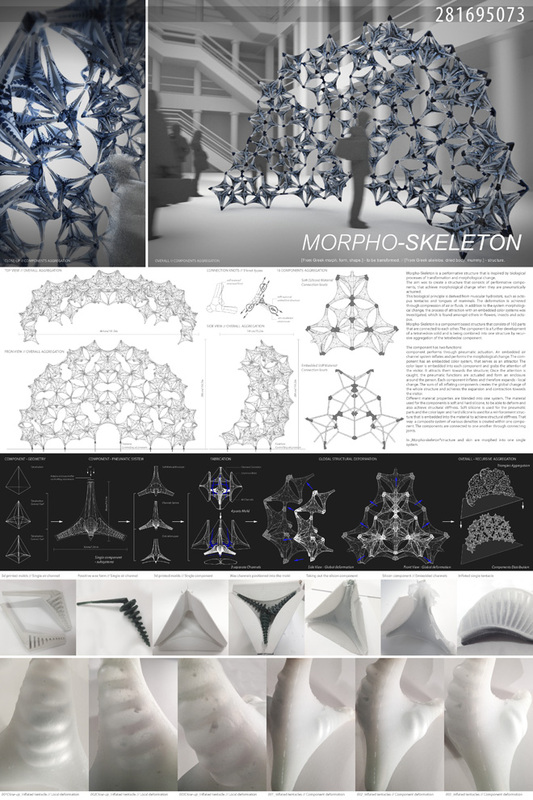 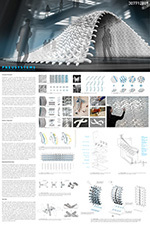 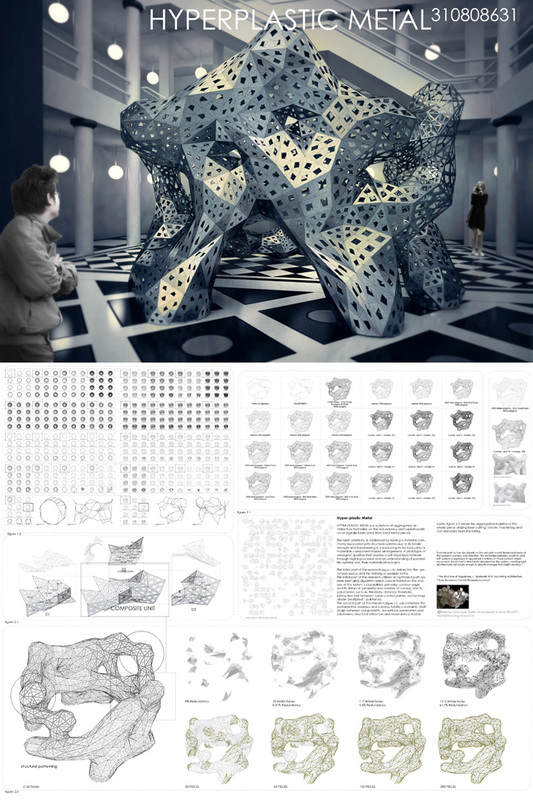 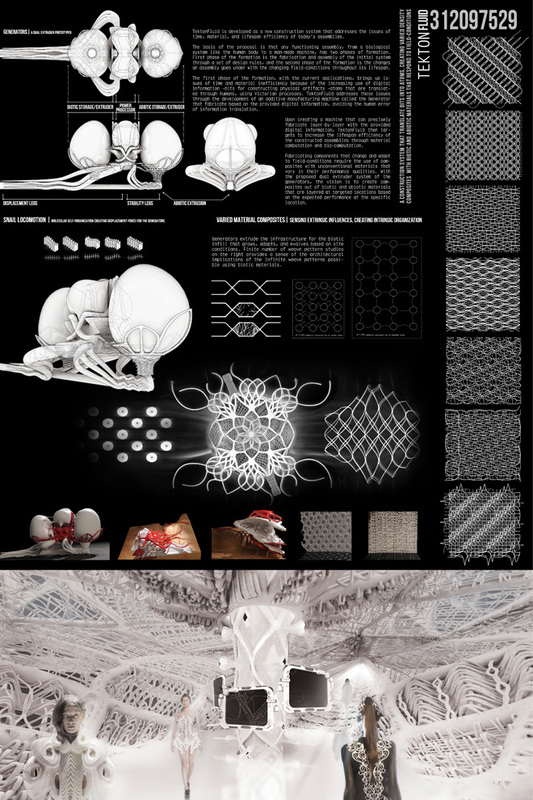 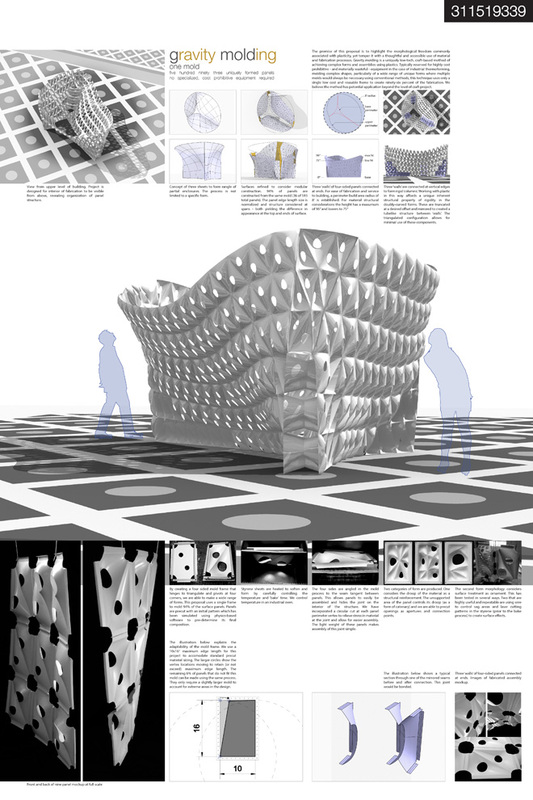 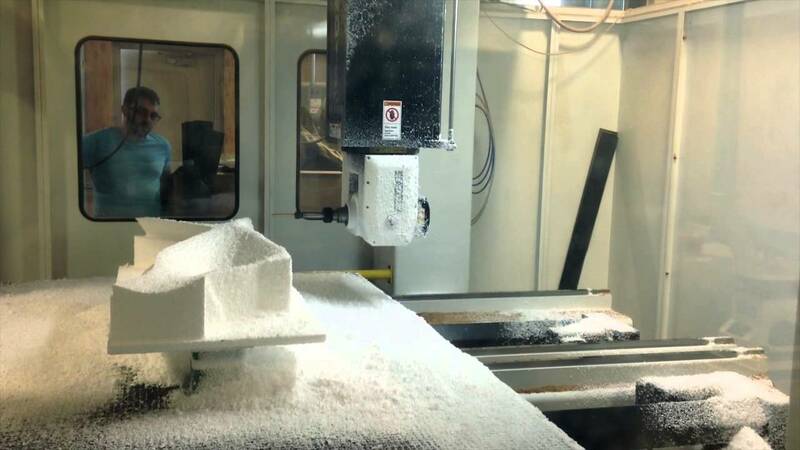 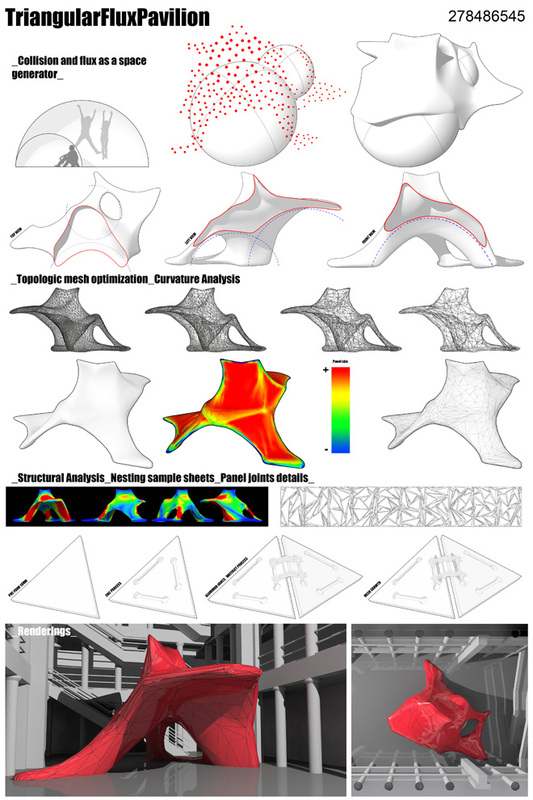 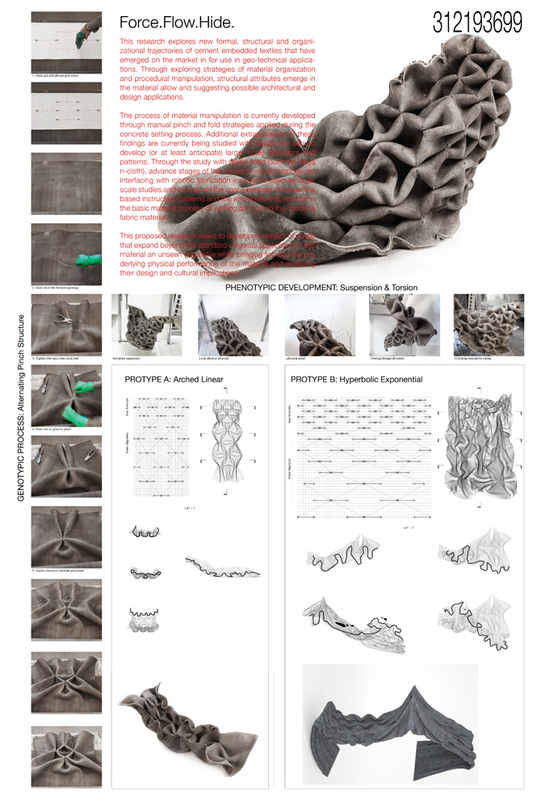 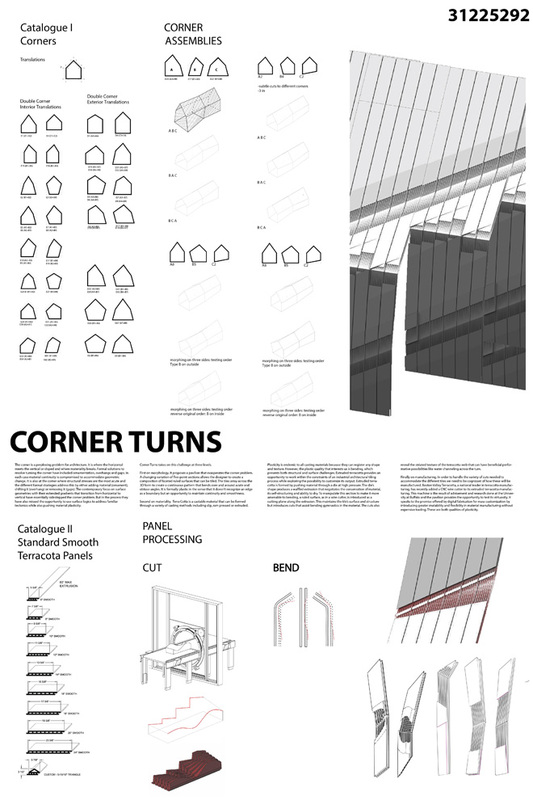 Composite material systems, casting, forming, 3D printing, fluid assemblies of profiles and even activated networks of robotic components are techniques to consider as potential building components in an architecture of plasticity. 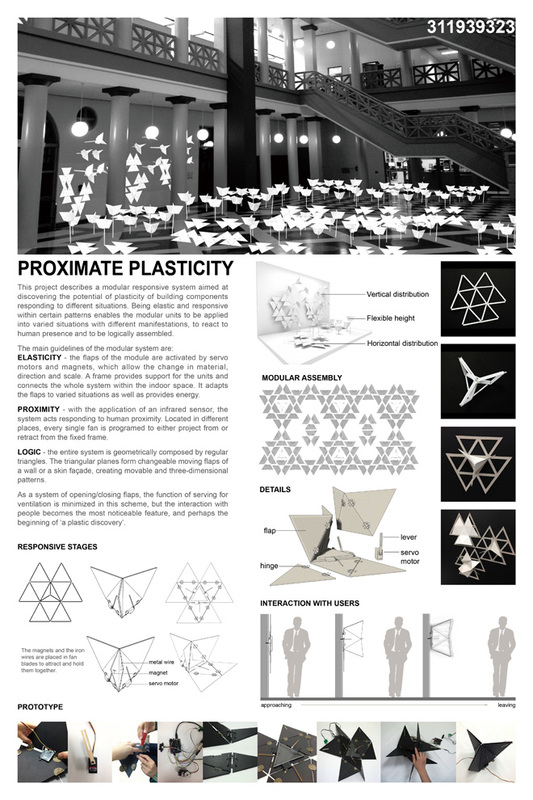 Plasticity is a two-stage competition. 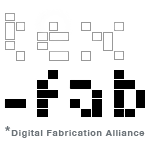 In that TEX-FAB invited leading figures split in the First Round to select the finalists and Final Jury to determine the winner. 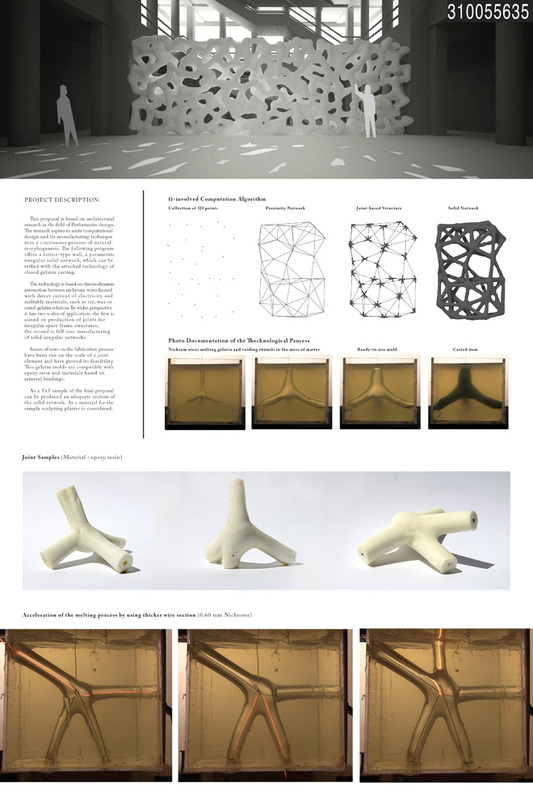 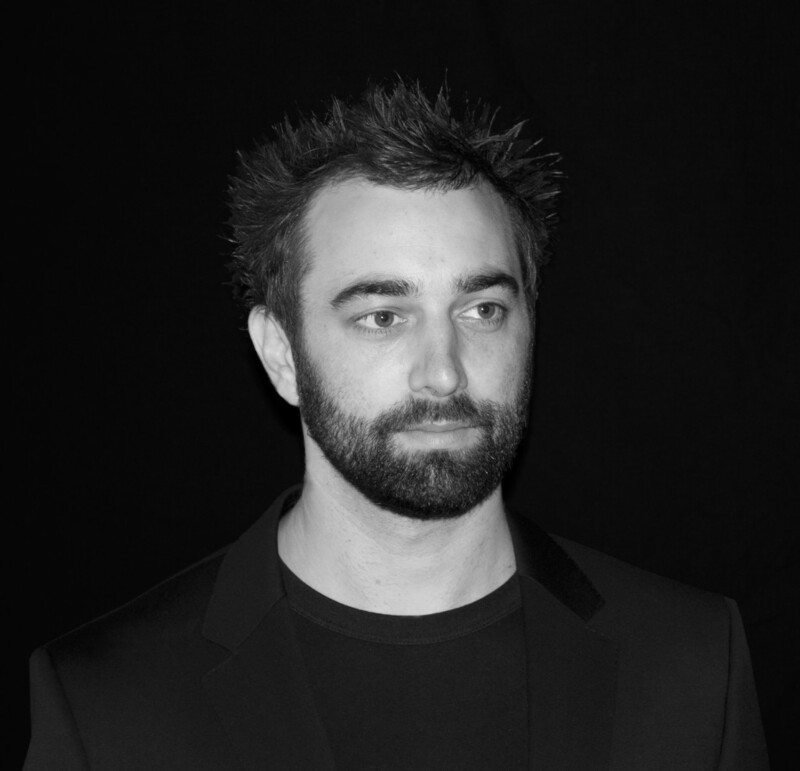 The jury members are recognized as leaders in world of digital fabrication and parametric design who provide unique and robust experiences in their respective areas of interest. 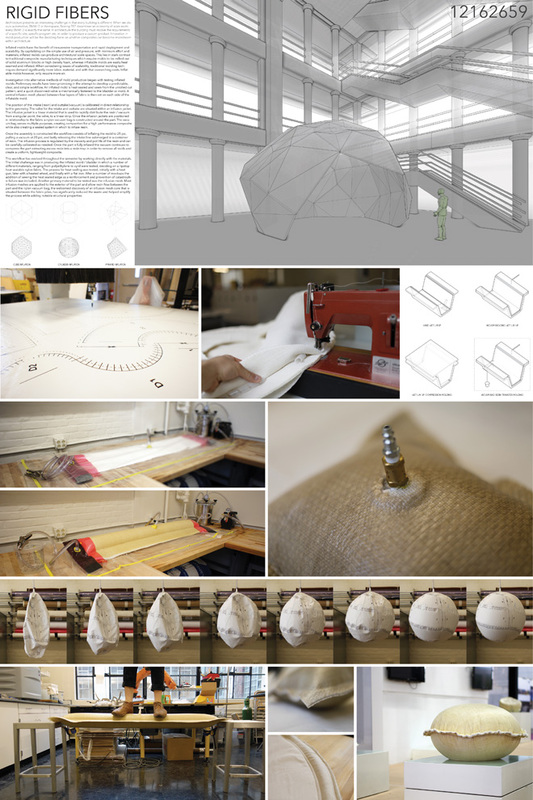 The jury has selected these four finalists to move forward to the second round for additional funded prototyping. 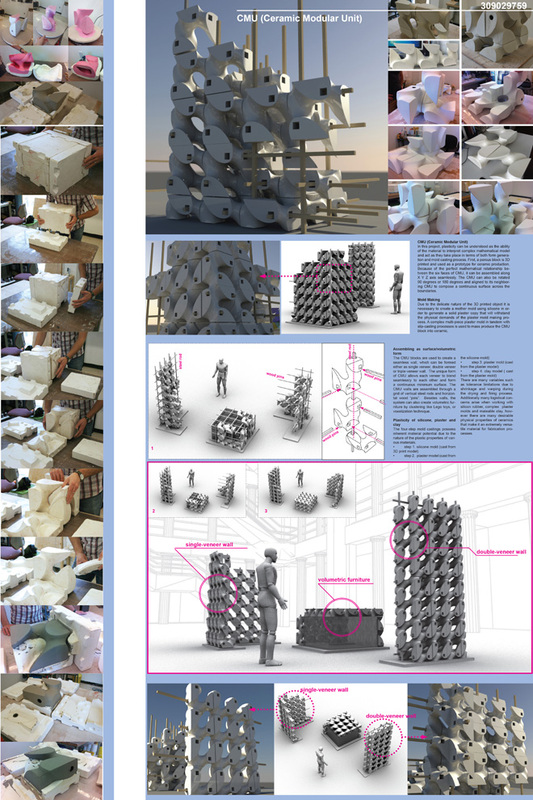 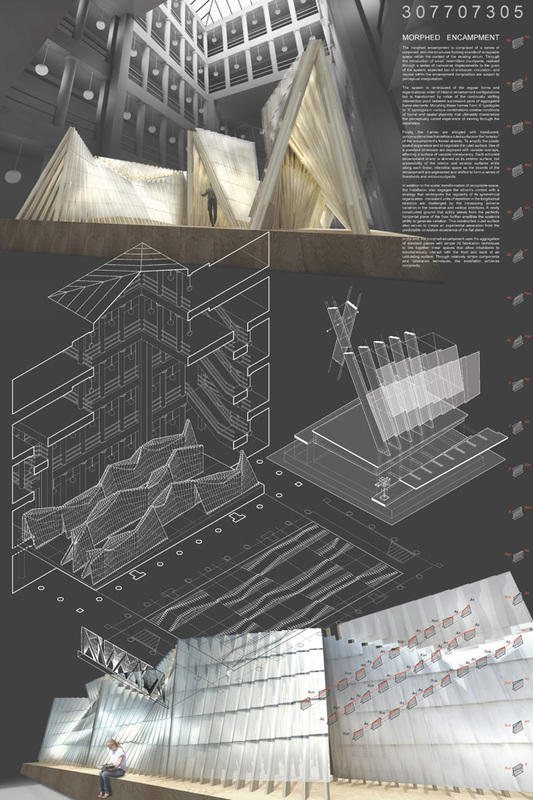 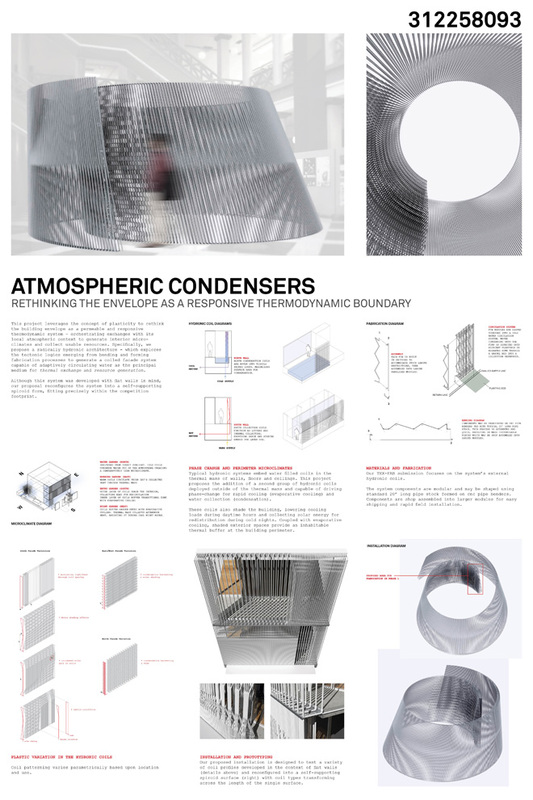 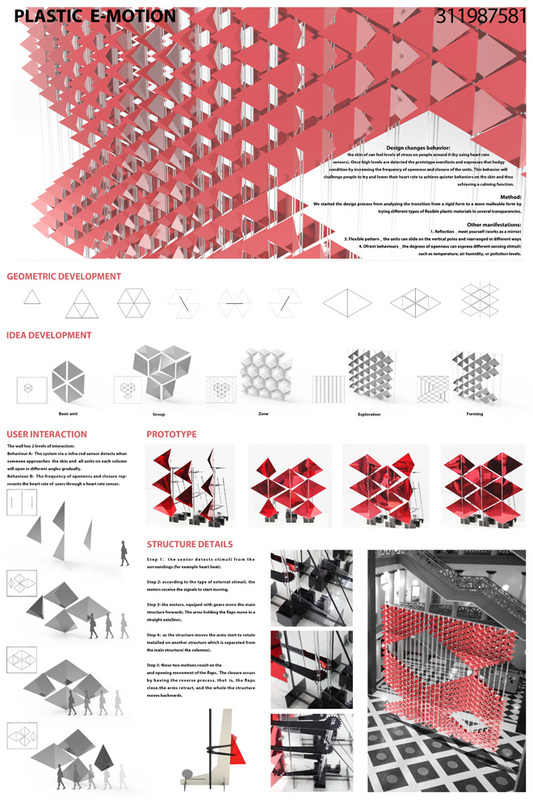 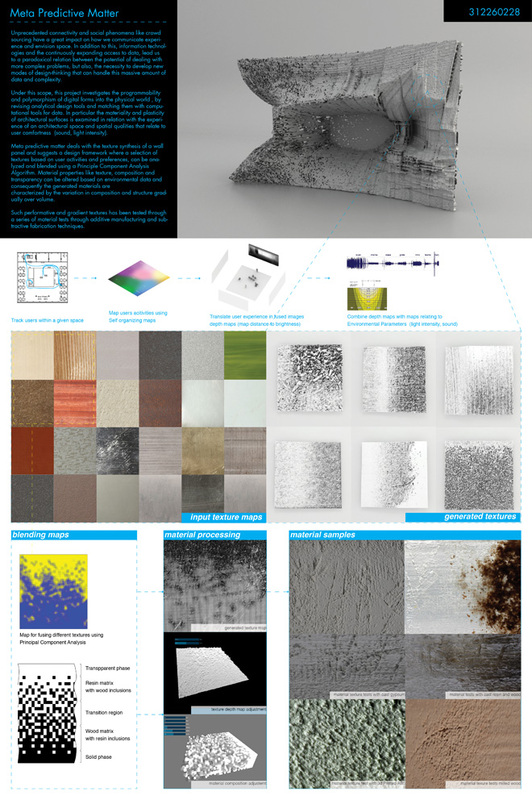 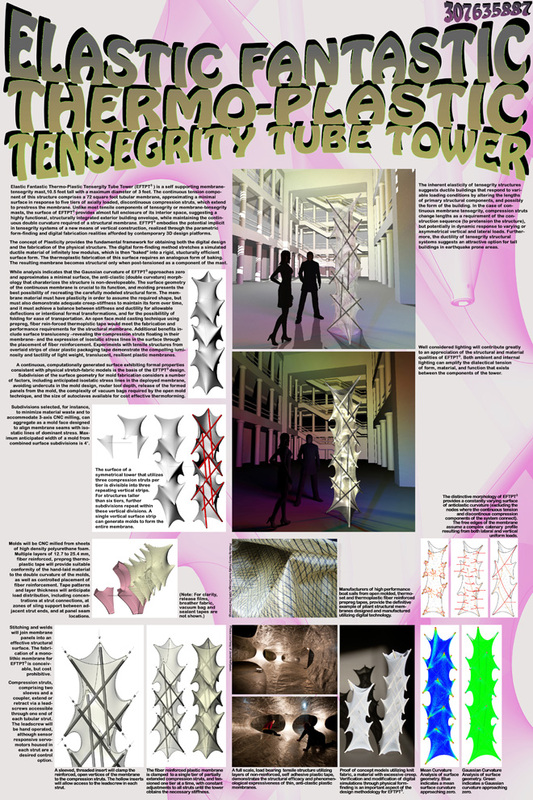 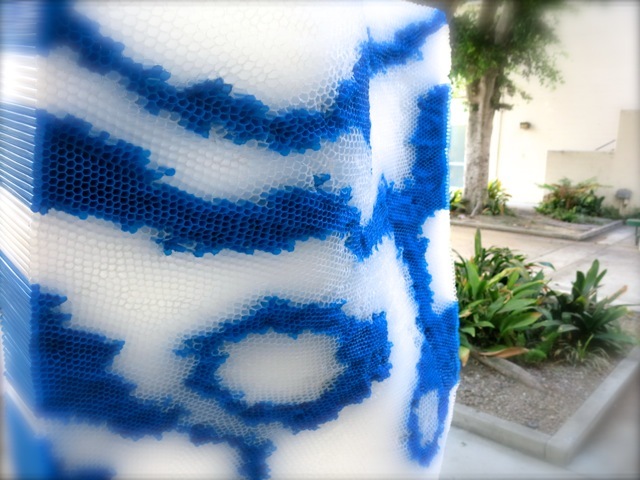 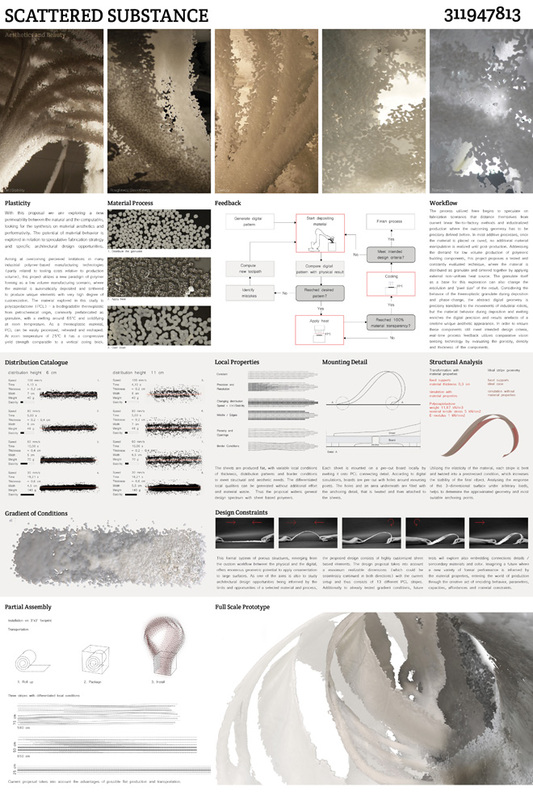 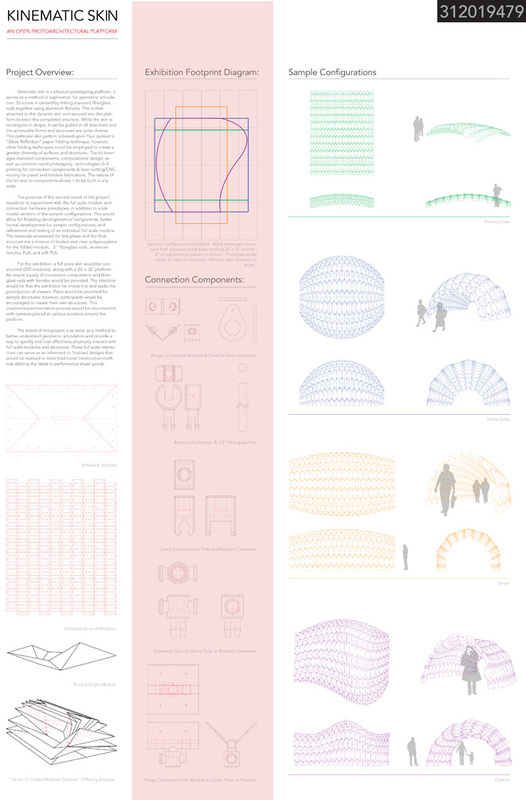 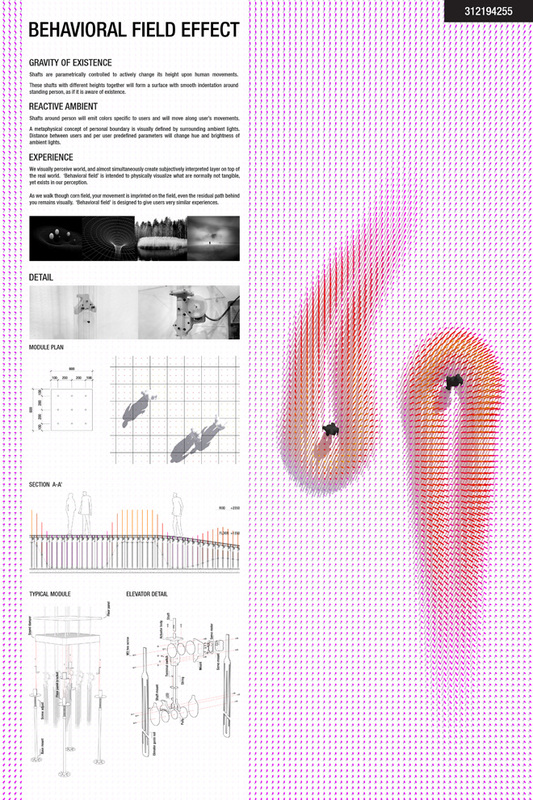 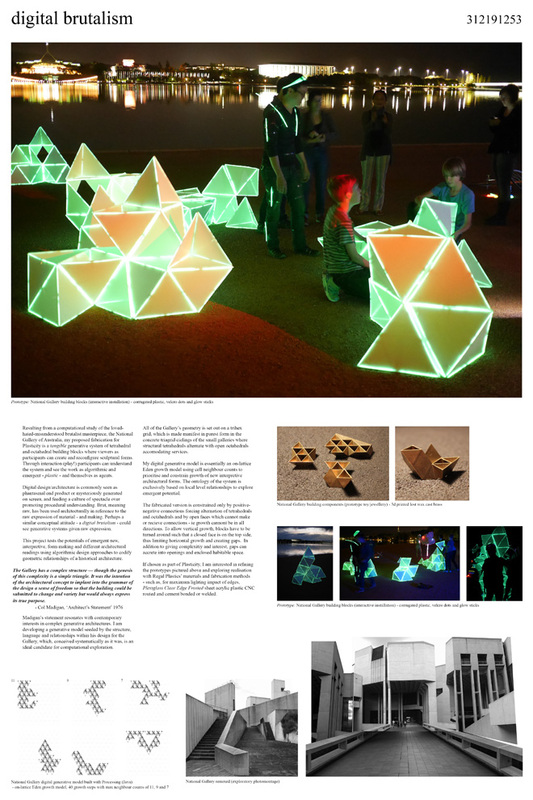 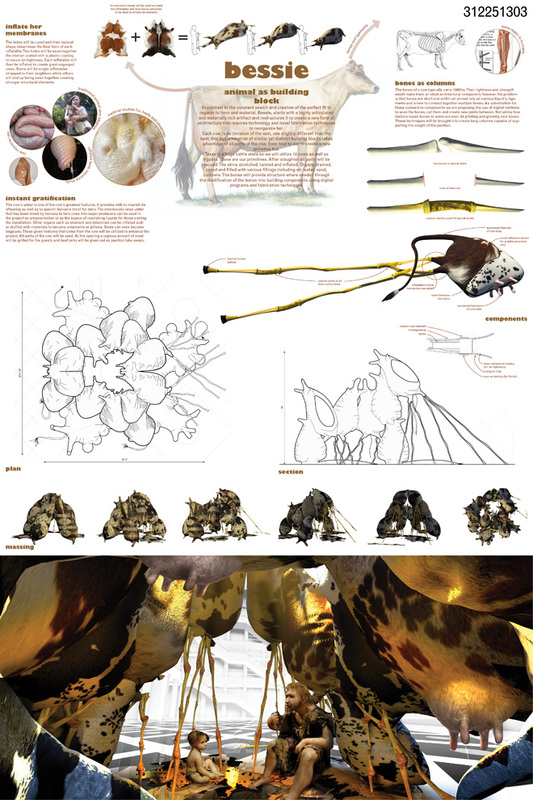 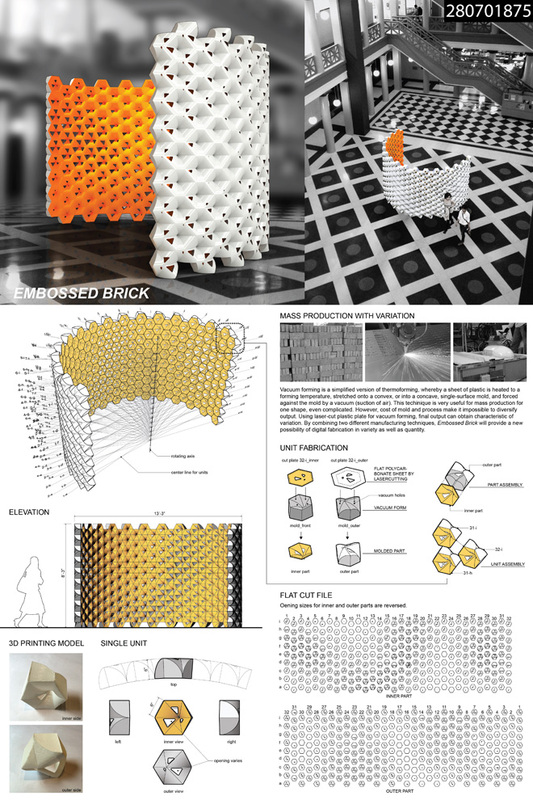 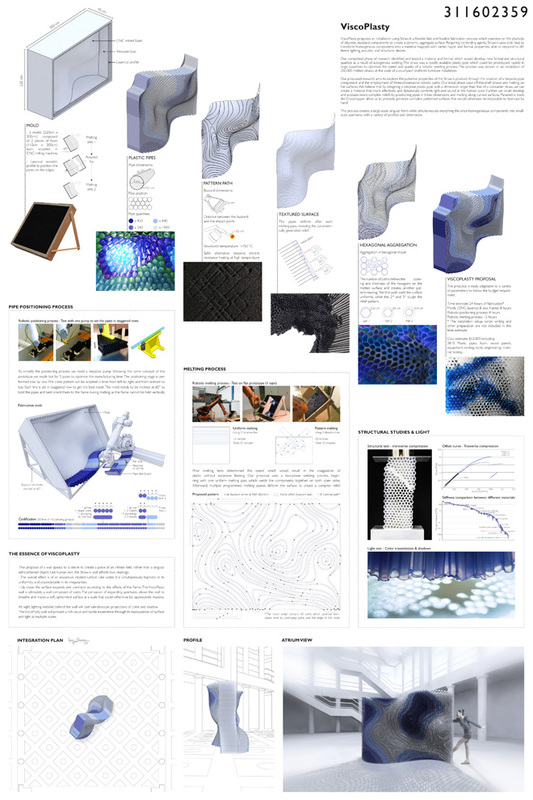 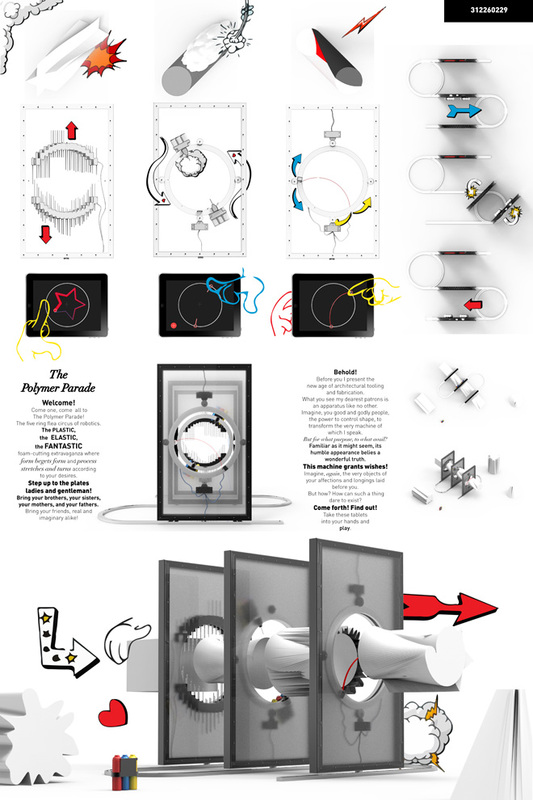 They will be exhibited in October at ACADIA 2014 Design Agency conference at USC where the winner will be announced. 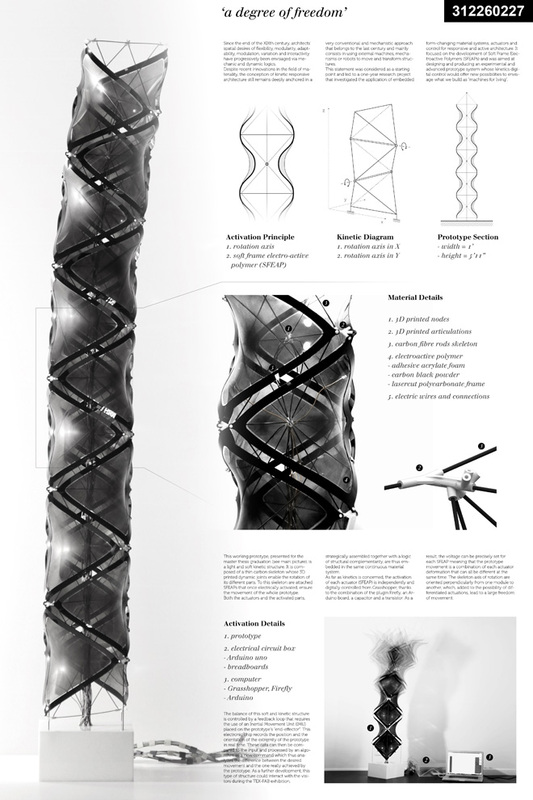 TEX-FAB received 70 entries in the Plasticity call from 16 countries on 6 continents. 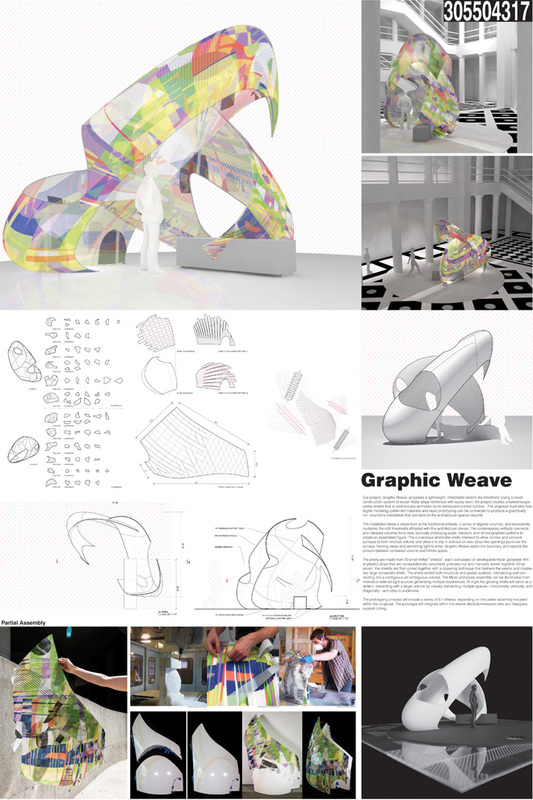 The first five in this gallery were awarded Honorable Mentions by the jury. 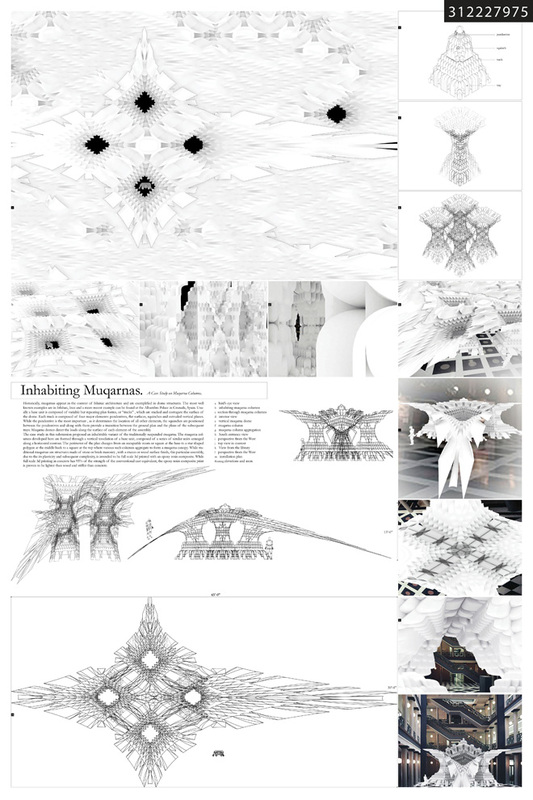 Navigate to the Press Release for more info on those outstanding projects.